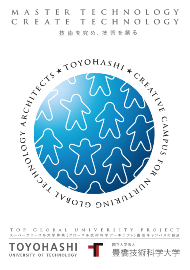 "Global Technology Architects Course (GAC)"
*Please contact the admissions office at your university for the program. Research students do their research under the guidance of an academic supervisor without the aim of earning credits or obtaining degrees. Visiting students do their research or study while they are continuing their study in home university. There are two types of visiting students: "special research students" aim to do research and "special audit students" aim to earn credits. This comprehensive undergraduate-master's program is designed for Japanese and international students who desire international careers. *"Global Technology Architects" refers to creative engineers and researchers with a high level of planning and design capabilities. The GAC aims to develop engineers and researchers with such capabilities.